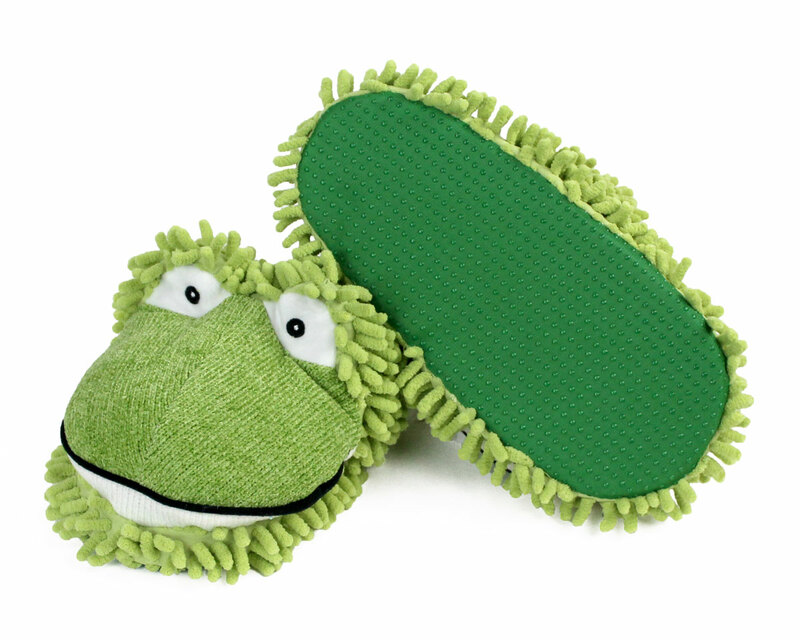 Turn a cold winter's night into a warm summer's day at the pond with these cute, green, web-footed friends. 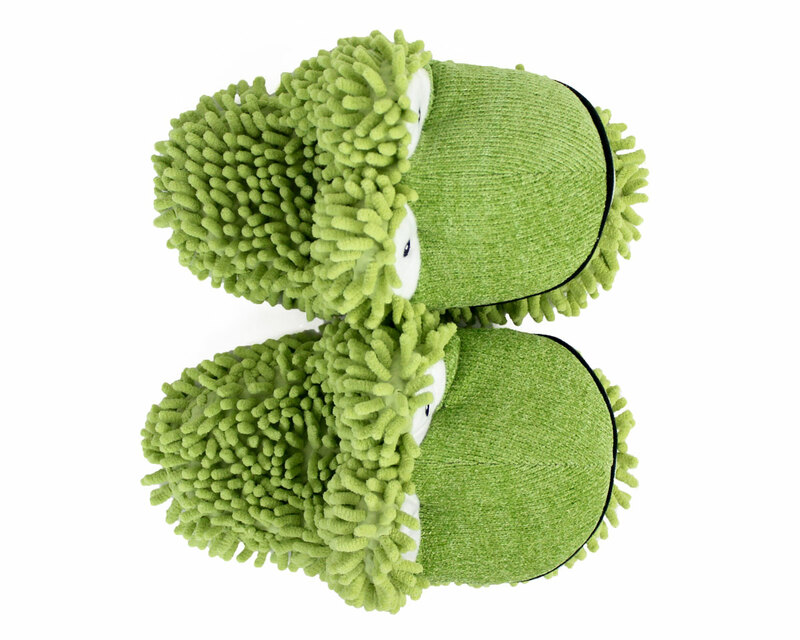 Just slip your cold little feet into a pair of Fuzzy Frog Slippers and think of a lazy frog sunning on a lily pad. 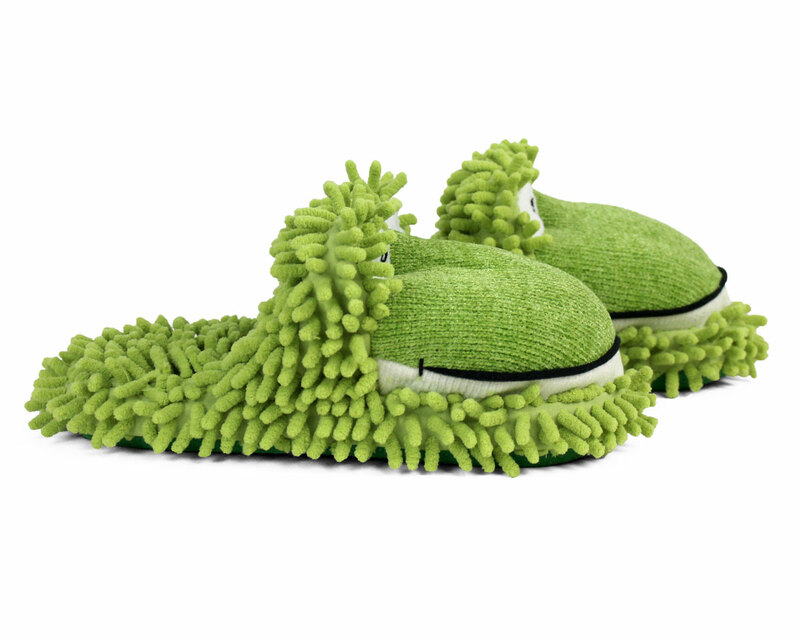 And you know you'll be lounging in style, as Oprah wore these on Good Morning America! 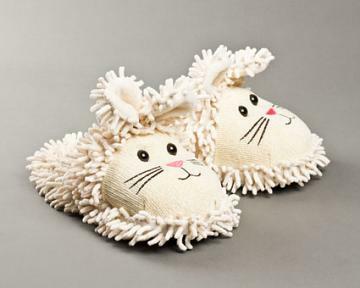 With these on your feet, you'll be dreaming of warm breezes and golden sunshine in no time. Love these. I've had the frogs before and bought another pair because they finally wore out. Got 4 other pairs for gifts. Advantages: So cute! Very quick delivery. 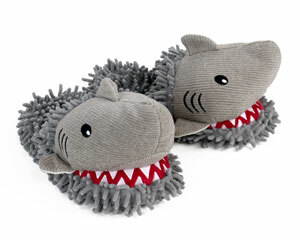 Love LOVD LOVE these slippers. So warm and cozy and comfortable. I am definitely ordering another pair soon! 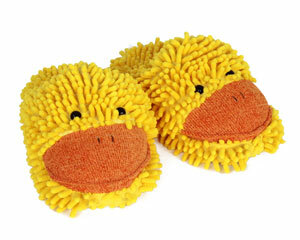 I was very pleased with the slippers and promptness of my order. I bought them for a co-worker! She absolutely loves them and fit perfectly! Advantages: They fit perfectly and are super comfortable. SO comfortable! Cute and so much fun to wear. Extremely quick shipping! Love them! I have worn two pair out. they mold to your feet nicely, all I can say is "do not stop making these little darlings"! I was sooooo excited when I came home and saw a big box on our front steps! 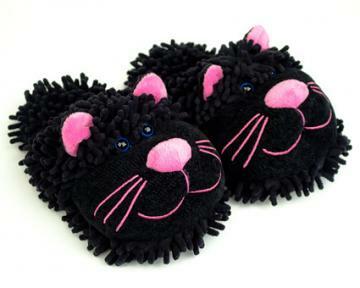 I knew it was the "animal slippers" we ordered for our six granddaughters!! My Christmas was complete! They are adorable! The girls loved them! Lots of laughter and joy! 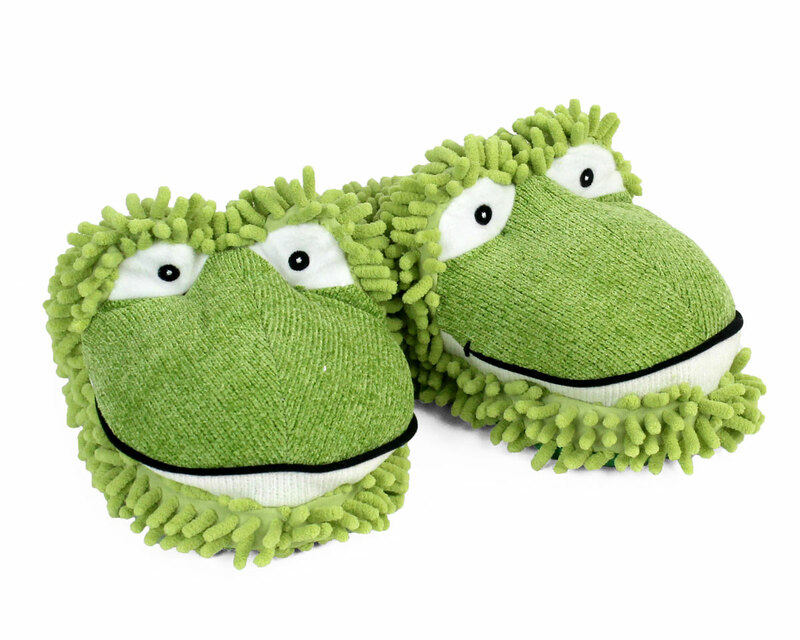 I love my frog slippers. They bring a smile to everyone that sees them. They are warm and comfy. They arrived quickly and look exactly like the picture. I wil order again for holiday gifts. I've had a pair of these since I was 9 (I'm now 23). They have held up beautifully - until I got a puppy last week, and they are now her favourite toy. Will need to replace them so I can have some too!